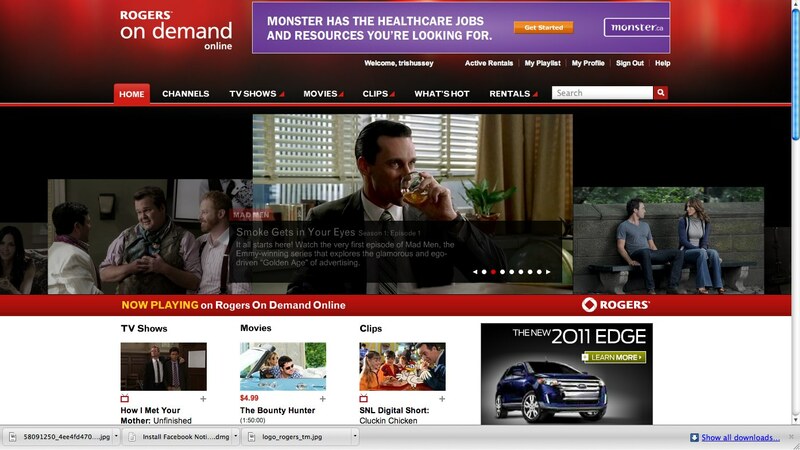 I caught on Rogers Redboard Blog that Rogers has opened up their ondemand TV and movie rental site, Rogers On Demand (yeah, I know brilliant name). So while the movie rentals online (and watching online) is pretty interesting, what I find even more interesting is the selection of TV channels that you can watch for free. From what I can tell, Rogers made deals to have access to not only the CHUM stations and channels they own, but also the CBC, Global, Movie Network, and HBO Canada as well. If this isn’t a shot across the bows of both Blockbuster Canada (they are planning a streaming service in Canada, but haven’t launched it yet) and Netflix (who launched here, but whose selection is nothing short of abysmal) then I don’t know what else would get their collective attentions. Now, limitations. Limitations are huge here. Netflix wins props for being able to watch stuff on the most places and devices (PS3, Wii, iOS, XBox, and computer), Rogers is just computer. I don’t think trying my PS3 would work out too well because the site uses a lot of Flash to make things work, so no watching on the HD TV for me. Free selection of TV and movies? The more I’m exploring the more impressed I am. Seriously. Boardwalk Empire? Yep. Dexter? Yep. Lost Girl? Nope. Which makes sense, that’s a CTV show. New movies? Well no Iron Man 2, but Karate Kid is there and for $5 you have to start watching within 30 days and finish within 48 hours (just like iTunes I believe). 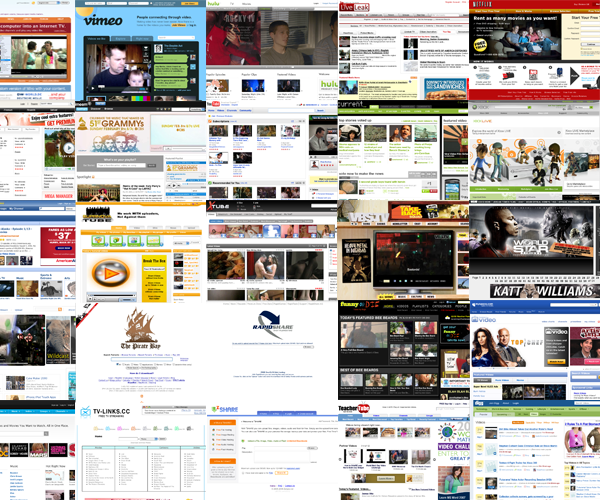 The potential big gotcha in all of this is bandwidth. Yeah even Rogers customers don’t get a break on this. You start a movie and TV marathon for a couple days, you might be getting a call from your ISP about your bandwidth consumption. So, here’s where we’re at right now. Netflix launched and pretty much just did it to say they have a stake in the ground in Canada. Yes, I know, the back catalogue and stuff. Fine, still it was disappointing to more people than just yours truly. Rogers/CityTV have the iPad app (which is very cool) and now Rogers On Demand. Nice touches, maybe a Rogers On Demand iOS app will be coming soon. That would be very cool. CTV just online channel surfing at the moment. However, with the job posting I saw last night, I’m betting that a CTV iOS app will be coming shortly. Blockbuster Canada better get on the stick and launch something. Yes, they aren’t affected by the US bankruptcy, but if they want to move into the online game, they better get something soon. Rogers isn’t just a telco, broadcaster, and ISP … remember all the Rogers video stores out there. At this point all I can say is that this is getting very, very interesting.